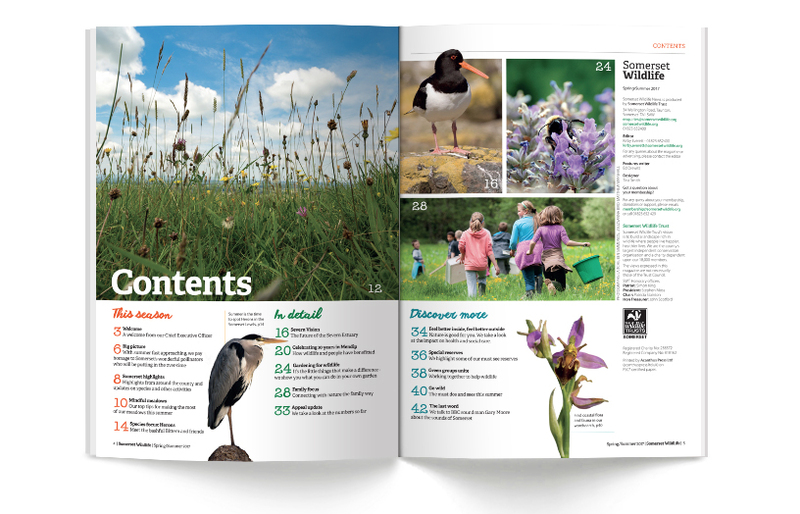 Somerset Widlife is the members magazine for the Somerset Wildlife Trust. I was asked to redesign the title to help inspire readers to get out and enjoy Somerset's rich wildlife. New practical, local and interactive elements make this a useful member benefit.